THE HOLIDAYS ARE UPON US!! And I still haven’t wrapped (i.e. bagged) my gifts. On the other hand, I have it on good authority that bagging (with appropriate tissue embellishments) is a completely acceptable form of wrapping. Which begs the question of why I haven’t done it yet. Still, it’s nearly the official start of winter, and my blog isn’t the only place where it’s snowing. Google’s gotten into the holiday spirit, too. If you enter Let it Snow into a Google search bar, you’ll get so much snow you can’t see your search results. At which point, you can hit the defrost button and start all over again. And Night Owl Reviews is throwing a web hunt with lots of cool prizes, including a Kindle, tons of books and gift certificates. And I’m having a contest,too. 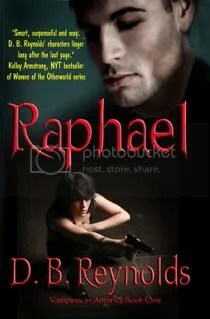 It’s part of RomFan Reviews holiday blog hop. I posted a special blog hop entry HERE. The prize is any one of my books, winner’s choice, either Kindle or print format. All you have to do is comment, and be sure to leave your email address, in case you win. CONTEST CLOSES AT MIDNIGHT DECEMBER 23. And, in addition to writing like crazy this past week, I did a bunch of review/recommendations. I’ve read a lot of books in the past few weeks, but only a few I’d recommend, and I’ve listed those on my What I’m Reading Now page, as well as on GoodReads. ROMFAN REVIEWS HOLIDAY BLOG HOP! When Annette at RomFan Reviews asked me to write about a favorite holiday memory, my first thought was that I don’t really have any. Sure, we always celebrated Christmas when I was growing up. And, yeah, with six kids, a mom and a dad, and assorted animals, life in our house was hectic on the most routine of days, which Christmas certainly was not. But special memories? I suppose I could talk about the Christmas when I was six and realized there was no such thing as Santa Claus. It wasn’t a particular shock to me. I was just standing there looking at the huge (in my eyes) tree and I knew. No Santa. But, hey, as along as I got the giant ballerina doll in her pink tutu, what did I care where it came from? And then there’s the Christmas when I was fifteen, when I really wanted an archery set. Not some cheapo kids’ bow and arrow toy, but the real thing with metal tipped arrows and a bow with some serious draw. I thought for sure my parents had blown me off, but, no. At the last minute, my dad brought out this long box wrapped in candy cane striped paper, and I knew even without opening it what it was. I mean, really, what else could it be? But the best part of that memory is how I went on to win my high school’s all-school archery championship in the Spring. Apart from the obvious reason why that’s a good thing, there was a more subtle motivation at work. My older sister and her friends were all the girl jocks of the school. They took all the spots on the girls’ athletic teams and, let me tell you, they played for blood. So, I can’t tell you how pissed off they were when I beat all of them to win that championship. And the fact that I was the younger sister of one of their own just added salt to the wound. Sweet! Ahem, okay, so back to the holiday spirit and all that. There was the midnight mass I went to with my sister and her fiancé (different sister) when I was twenty or so. I was already disillusioned with the church, but there’s something magical about a midnight mass with its pageantry and, especially, the choir. The sound of human voices raised in song is one of my very favorite things. And then there’s all the wonderful holidays spent skiing with my darling husband. The sunshine (usually) and cold air as you zoom (more or less gracefully) down the slopes, stopping for lunch at a picnic table at base, thawing out at the end of the day with martinis and good food. And then waking up the next morning and doing it all over again. Happy Holidays, everyone! And may all your holiday memories be victorious, er, joyful! Comment below for a chance to win a copy of any one of my books, winner’s choice, in either print or Kindle format. CONTEST ENDS AT MIDNIGHT, DECEMBER 23rd! YOU MUST PUT A CONTACT EMAIL ADDRESS IN YOUR COMMENT, SO YOU CAN BE NOTIFIED IF YOU WIN. LIVE CHAT TODAY (DEC 14) AT LITERAL ADDICTION! I’m doing a LIVE CHAT today, December 14, at LITERAL ADDICTION. Check in early to be sure your Java is up to date and to create a log-in, if necessary. CHAT is at the bottom of THIS PAGE. SHOPPING IS DONE … LET THE WRITING (RE)COMMENCE! Well, truthfully, I’ve been doing more than shopping the last couple of weeks. I’ve been doing a lot of promo stuff, like guest blogs and interviews. And since I can’t turn off my brain, I’ve been doing a lot of thinking and note taking about LUCAS and other upcoming projects, too. BUT … my holiday shopping is officially o.v.e.r. Packages will go off in the mail on Tuesday (because today is the busiest shipping day of the year … did you know that?) I still have to wrap the local presents, or rather put them and a bunch of tissue in some gift bags, which are one of the greatest inventions of all time. I’m a terrible wrapper. Even my mom thought I was terrible and she had no patience for wrapping at all! That doesn’t mean the fun stuff stops, though. 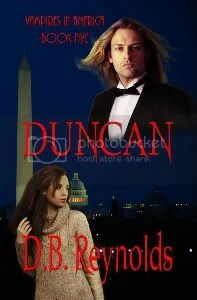 First up, DUNCAN has been nominated for Paranormal Haven’s Best of 2011!! He’s up for Favorite Novel in a Series. So, please stop by and VOTE! I also have two guest spots coming later this week. This Wednesday, December 14th I’ll be doing an interview and live chat with Literal Addiction and Book Monster Reviews. The interview will be at both Literal Addiction’s Author’s Corner and Book Monster Reviews with a separate giveaway for each venue. The live chat will also take place this Wednesday, December 14th, at 5:00 pm Pacific (8:00 pm Eastern.) The chat forum is HERE, below the fold. You should check in early to be sure your JAVA is up to date and to create a log-in, if necessary. Again, the CHAT log-in is below the fold. Also, this week is RomFan Reviews’ Holiday Blog Hop. I’ll be guest posting there this Friday, December 16th, with another giveaway. And I’ll be linking to all of these events and their giveaways on Facebook and Twitter as they unfold. More wonderful reviews came in this week, too. DUNCAN’s release has introduced new readers to the series, so I’m getting reviews not just of DUNCAN, but of all the previous books, too. So nice! 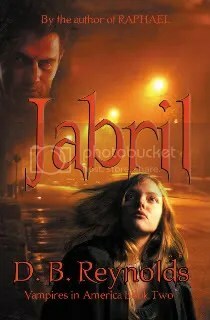 The Romance Reviews and named a Top Pick in addition to having already been nominated as Best PNR 2011. And … my new laptop computer arrived this week! Squeeee! I wasn’t expecting it until the 21st, and I’ve been so busy that all I’ve done so far is plug it in. Sheesh. So…despite the absence of thousands of words, it was a great week! And the coming week promises to be equally busy and equally fun, plus…some words, too. I hope to see you all at my live chat on Wednesday, and I will see all of you back here next Sunday/Monday night! Okay, first up, I want everyone to notice … it’s snowing in Blogland! More than anything that reminds me it’s really December! Must. Go. Shopping. Although, I’ve already made major progress on my gift list by shopping on-line, which frankly is my preferred shopping mode. And as for my latest love, Duncan the delicious premiered on the Fictionwise.com overall bestsellers list at #4 (and now he’s even better at #2 overall) ! And #1 in Dark Fantasy. Thank you to everyone who made that happen! And for those of you who haven’t heard yet, BN.com finally started shipping DUNCAN’s paperback, which means Amazon has lowered their price to match. At last! 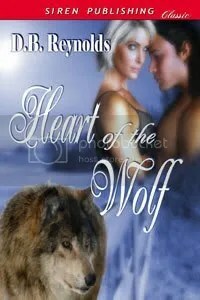 On to the reviews … Bitten By Paranormal Romance has given DUNCAN a FIVE with an Alpha Howl! You can read the review HERE. I’m guest blogging this Friday, December 9, too, at RomCon’s Paranormal Blog. Yet another giveaway going on there, so drop in and WIN! And last, but definitely NOT least, my writing partner Michelle Muto’s wonderful book, DON’T FEAR THE REAPER has received great (and well deserved) reviews. And the book has now been chosen as Sizzling Reads Indie Limelight Choice for December. 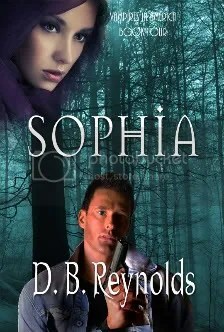 Stop by, take a look, then go buy the book, because it’s a terrific YA story of love, loss and redemption. Hmm, looking around, I find that’s all I have to say this week. I’ve been in a post-NaNo coma for the last couple of days, but I finally emerged today and started getting things done! Have a wonderful week, and I’ll see you all next Sunday night, same time, same place. REVIEWS, GUEST BLOGS AND NEWS! And today, Monday, November 28, PARANORMAL HAVEN will be posting their review of Duncan, plus I’m guest posting there today, too. My post is a little behind-the-scenes snippet of When Cynthia Met Emma, and it might surprise you. There’s also a giveaway, so be sure and stop by PARANORMAL HAVEN soon. In distribution news, FICTIONWISE.COM listed DUNCAN this week, and he’s already a bestseller. In fact, if you look at Fictionwise’s Bestsellers in Dark Fantasy, five of the top six are my books. How cool is that? 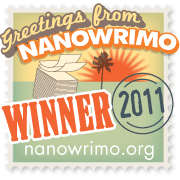 And, finally, NaNoWriMo is almost over (thank the gods.) I’ve only about 4000 words to go, so barring some major crisis in my life, by this time next week, I’ll be a NaNo winner once again, and my life will have returned to normal! Of course, normal is a relative term when you’re a writer, especially when combined with holiday shopping. But I’m hoping to work a spa vacation into the month of December somewhere, and my darling husband has promised to go with me. Okay, time for me to get working on those 4K words I still have to write. No hardship there, because I’m writing Lucas, and he’s a honey to work with. See you all next week. Here’s hoping we all get some great deals on Cyber Monday!! Wheeeeeee! DUNCAN just hit Fictionwise.com! Yay!